Do Republicans do anything about de-funding Planned Parenthood? I keep getting comments from people on the blog and on the blog’s Facebook page saying that Republicans never do anything about de-funding Planned Parenthood. Is that true? Or is this belief just held in ignorance by people who don’t follow legislation very closely? Let’s take a look at a vote that’s happening today in the Senate. The Senate will cast a vote on Monday to try to break the Democrat filibuster against a bill to stop infanticide. As LifeNews reported, pro-abortion Senator Patty Murray blocked a vote on a bill from pro-life Republican Senator Ben Sasse of Nebraska that would stop infanticide nationwide. And in the House, Democrats have blocked a request by Republicans to vote on a bill that would stop infanticide a total of six times. Earlier this month. Nebraska Senator Ben Sasse had wanted to vote on a bill to protect babies born alive after failed abortions. The truth is, the House Republicans DID pass some pro-life legislation from 2016-2018. Some of it got signed into law, but most of it died in the Senate, because of the Democrats. Also, in the Senate, the new Senator from Tennessee (Marsha Blackburn) has already introduced a new piece of legislation designed to stop taxpayer-funding of abortion. The bill is sponsored by 25 other Republican senators. Republican Sen. Marsha Blackburn of Tennessee introduced her first bill in the Senate. The proposed law, S. 105, the Title X Abortion Provider Prohibition Act, is a counterpart to a similar bill introduced in the House of Representatives. The legislation seeks to deny funding to abortion organizations, including Planned Parenthood. The bill has not yet passed the Senate, which is the first step in making it law. Tennessee lawmakers passed a bill Wednesday to protect unborn babies from abortion once they have a detectable heartbeat. State House Bill 77, sponsored by Rep. Micah Van Huss, would protect almost all unborn babies in Tennessee by prohibiting abortions once an unborn baby’s heartbeat is detectable, about six weeks. Exceptions would be allowed for medical emergencies. Violators could be charged with a felony and face up to 15 years in prison. The state’s moderate Republican governor Bill Lee has already promised to sign the bill if it reaches his desk. Meanwhile, President Trump is doing his part to defund Planned Parenthood as much as he can using administrative power. President Donald Trump today finalized an administrative rule that would partially defund the Planned Parenthood abortion business and deprive it of as much as $60 million in taxpayer dollars. This action adds to President Trump’s record of defunding the Planned Parenthood abortion company. The abortion chain receives about $50 million to $60 million in Title X funds annually, but that could change now that the new rules are being implemented. 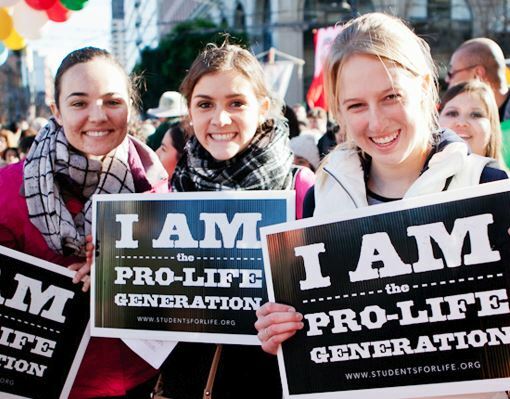 The administration’s changes to Title X family planning grants have angered the abortion chain Planned Parenthood, prompting a lawsuit, but they provide hope for life-affirming pregnancy centers, which can now compete with the abortion giant for the federal funds. There really isn’t any point in rank-and-file Republicans complaining about elected Republican legislators. They are doing their jobs of introducing legislation. Sometimes, the legislation passes. Sometimes it’s defeated. The outcome of these votes depends on whether we elect enough pro-life Republicans. Saying that “Republicans do nothing to stop abortion” is not only factually incorrect, but it is actually pro-abortion, because it discourages Republican voters from donating and working hard to be involved in the political process. In my experience, people who say things like this are cynical losers who have failed at life. Their fatalistic pessimistic outlook makes them feel in control. They justify their inactivity by warning others not to try because the system is rigged. We should oppose these ignorant, conspiracy-minded losers whenever they open their mouths. Previously, I blogged about how my favorite Congresswoman Marsha Blackburn had entered the Tennessee Senate race for the seat being vacated by squishy moderate Bob Corker. I have blogged about Marsha Blackburn’s activities many times on this blog, going back for many years. Although Marsha Blackburn is a wonderful candidate for the Senate, Tennessee still needs a conservative governor. Here is the latest news from Fox News, authored by Diane Black – another Congresswoman I admire. She’s the current Chair of the House Budget Committee and probably had a lot to do with the splendid House version of that tax cut bill that I liked so much. But she’s not only good on fiscal issues, she’s also a member of the House pro-life caucus, and was involved in the Select Investigative Panel on Planned Parenthood – an investigation of the selling of unborn baby body parts. Marsha Blackburn chaired the panel. The gubernatorial race is slated for Nov. 6, 2018, the same day as the midterm elections in Congress. Republican Gov. Bill Haslam, the incumbent, is prohibited by Tennessee law from running for a third term. Black joins a field of other Republicans who have announced their candidacies, including former state Sen. Mae Beavers; Randy Boyd, former commissioner of the Department of Economic and Community Development under Haslam; Rep. Beth Harwell, speaker of the Tennessee House; businessman Bill Lee; and realtor Kay White. Black will continue to work on the Ways and Means Committee. Before being elected to Congress, she was a Tennessee state representative and senator. “Without question, it is critical that lawmakers take real action to reverse the trajectory of our nation’s growing debt,” she said. I always support the candidates with the best record of achieving conservative results in the teeth of opposition. That’s why I liked Scott Walker and Ted Cruz in the GOP primary. It’s good to see Marsha Blackburn and Diane Black running for Senate and Governor, respectively. They also both have experience fighting for conservative principles and achieving results in the teeth of opposition. I am very happy to see people with records of achieving results running for higher office. I noticed that Diane Black has a degree in nursing, and a private sector career as a nurse, prior to entering politics. 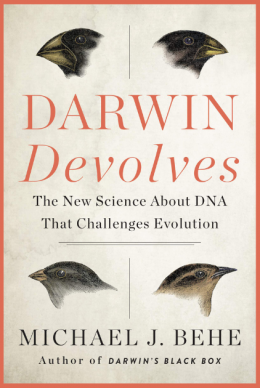 I think gives her a practical, evidence-based background, which so many non-STEM politicians lack. Let’s take a look at the differing records of the two leading candidates for the open Senate seat in Tennessee on the issues of sexual harassment and sexual assault. First, the Democrat candidate Phil Bredesen and then second, the Republican candidate Marsha Blackburn. Here’s the Washington Free Beacon. The Tennessean, a Nashville-based publication owned by Gannett, first began investigating the ethical processes of Bredesen’s office after the May 2005 news that a top official appointed by Bredesen was being suspended for workplace harassment. Reporting on the incident proved difficult as state investigators shredded all the notes taken during the investigation, with the top investigator admitting to being “keenly aware” that documentation could later be requested as public records. The details of the 2005 harassment claims against Mack Cooper, Bredesen’s senior adviser for legislation and policy, were never revealed. Bredesen denied that shredding documents was part of a “cover up.” Instead he argued it was part of an effort to protect the identities of victims. He admitted, however, that there was no way to prove his point. Equally damning for Bredesen’s office was the case of Quenton White, appointed commissioner of Tennessee’s Department of Corrections by Bredesen shortly after he was elected governor in 2002. White resigned from the post in July 2005, just two months after Cooper’s suspension, due to “mounting questions about a sexual harassment allegation against him, his handling of a sexual harassment case against his executive assistant, and circumstances surrounding his relationship with a former subordinate,” the Tennessean reported. White, reporters discovered, had been accused of sexual harassment a year before his resignation. Bredesen confirmed the 2004 sexual assault allegation but said investigators found “no corroboration” of the claim. Bredesen again had to explain to reporters, however, that he could not give any proof for his statement because the top investigator shredded her notes and had no written report on what was found. The paper even sued the state of Tennessee for access to sealed sexual harassment files, but had its case dismissed by a state judge who ruled Bredesen could withhold documents on grounds of attorney-client privilege. Bredesen had previously told the paper he would “consider” opening withheld case files. So there’s the record of the Tennessee Democrat on sexual harassment and sexual assault. The striking thing about all this is that the Nashville Tennessean is actually left-of-center on political issues. The record of the Tennessee Republican candidate Marsha Blackburn, is very different from the Democrat candidate. Rep. Marsha Blackburn said Thursday that any member of Congress who used taxpayer dollars to fund sexual harassment-related settlements needs to refund that money. “They need to pay that money back with interest,” Ms. Blackburn, Tennessee Republican, said on Fox News. She said she did not know who or how many congressmen are on the list of those who have used this money for such a purpose, but said the issue needs to be addressed. “It is inappropriate that there has not been transparency with members of Congress and the American taxpayer. So let’s clean this up,” Ms. Blackburn said. Ms. Blackburn is helping push forward a bill sponsored by Rep. Ron DeSantis, Florida Republican, to end these so-called “hush funds” used to fund sexual harassment settlements. So far, Rep. John Conyers is the only member publicly known to have used this money to settle a sexual harassment claim. He was accused of harassment by a former employee and settled a lawsuit with her using taxpayer money. John Conyers is, of course, a Democrat. So, Marsha’s position on sexual harassment and sexual assault is that the investigation documents should not be shredded, but that they should be made public. The names of the accused should be made public. The settlements paid to the accusers at taxpayer expense should be made public, and paid back with interest. And payouts to accusers should stop being made using taxpayer dollars. That all sounds good to me. Just so you know, the payouts for these sexual harassment claims is not a small amount of money. Democrat congressman Alcee Hastings paid out $220,000 to his accuser. Well, he didn’t pay it out, the taxpayers paid it out for him with our money. Tennesseans certainly have a clear choice to make in this Senate race. There are clear differences. Tennessee has two of the least conservative Republican senators, namely, Bob Corker and Lamar Alexander. One of my absolute favorite members of the House of Representatives, Marsha Blackburn, is running for Corker’s seat in 2018. I have written about her on this blog many times. Twitter decided to censor a pro-life announcement from her Senate campaign account. At one point in the video, Blackburn, who announced last week that she is running for the Senate in Tennessee, heralded how she “stopped the sale of baby body parts,” a reference to her investigation into Planned Parenthood’s reported practice of “donating” body parts in return for monetary compensation. 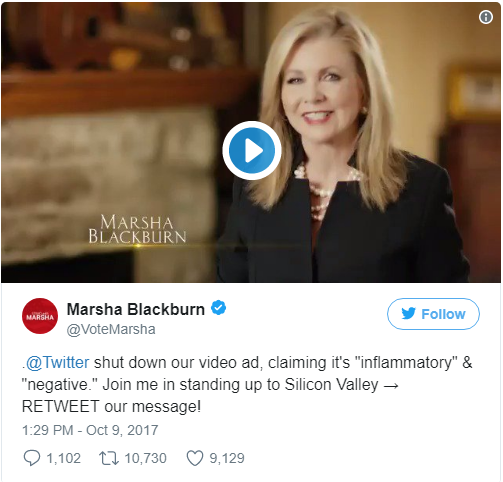 But a Twitter representative told the Blackburn campaign that Twitter blocked the ad from being promoted, calling it “an inflammatory statement that is likely to evoke a strong negative reaction,” the Associated Press reported Monday. Twitter said that Blackburn would have to repost the video without the flagged statement in order to advertise. Instead, Blackburn—who is vying to replace Sen. Bob Corker (R., Tenn.), who will not seek another term—tweeted out a call to action on Facebook and Twitter, asking her followers to share the video themselves. 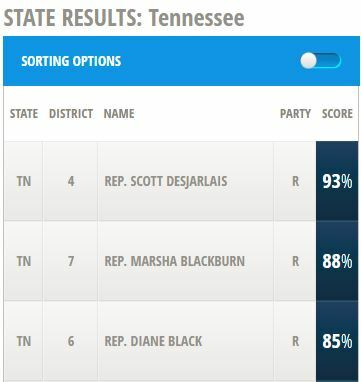 Marsha Blackburn has an 88% conservative rating from the Heritage Foundation. I’ve not found a better way to assess political candidates than the Heritage Foundation’s Scorecards. I took a quick look at the Twitter CEO’s account (@Jack) and found it littered with sophomoric left-wing propaganda, including support for anti-American millionaire Colin Kaepernick. Obviously “Jack” is in favor of left-wing free speech, just not free speech for those he disagrees with. This is standard for the close-minded, intolerant bigots on the left, though. Nothing surprising, people on the left like Jack just don’t handle different points of view very well. The Tennessee Republican has established herself as a champion for the rights of unborn babies. The eight-term congresswoman has a 100-percent pro-life voting record. Most recently, she chaired the U.S. House Select Panel on Infant Lives, which investigated Planned Parenthood’s sales of aborted baby body parts. In January, the committee sent numerous criminal and regulatory referrals to federal and state officials regarding Planned Parenthood and other groups involved in the baby body parts trade. More than anyone, Blackburn has distinguished herself as a pro-lifer who is willing to investigate Big Abortion corporations. I thought to myself, where is all this censorship of pro-life views coming from? Well, it turns out that this person who works in communications at Twitter is the former press secretary for Kalama Harris. You remember Kamala Harris is the attorney general of California, who collaborated with Planned Parenthood to go after the Center for Medical Progress. Officials from California Attorney General Kamala Harris‘ office and Planned Parenthood collaborated to draft legislation targeting the pro-life activist whose undercover videos showed officials for the nation’s largest abortion provider discussing the sale of fetal body parts, emails show. The emails depict conversations between the state agency and Planned Parenthood over AB 1671, which would amend the penal code to make secretly recording and disseminating communications with health care providers a crime. Gov. Jerry Brown has until the end of the month to sign or veto the bill. The documents are another indication of Ms. Harris‘ close relationship with Planned Parenthood and call into question the impartiality of her ongoing investigation of Mr. Daleiden, legal experts said. Now, it’s well known that companies like Google, Facebook, Twitter, etc. have serious problems at the top with censorship of diverse views. In these companies, they all think the same, and they hire people who think the same, and they fire people who don’t think the same. Instead of fixing the problem, they keep right on going with their progressive cultural imperialism. If you’re looking for “corporate fascism”, you don’t need to look any further than Google, Facebook and Twitter. Zero ideological diversity. Dangerous censorship of opposing views. If the federal government is looking for a good place to crack down on corporate fascism, I think breaking up Google, Facebook and Twitter into smaller companies would be a good start. In fact, moderate Republican Hugh Hewitt recently suggested this to House Majority Leader Kevin McCarthy on his MSNBC show. By all means, and we should de-fund fascist universities that don’t allow both sides of debates to be heard. I don’t often ask my readers for favors, but if you can please share this post on social media, I would be grateful. Marsha Blackburn is one of the good ones, and I’d like to see her win the race to become senator in Tennessee. I’m sick of seeing conservative legislation derailed by the likes of Corker and Alexander.